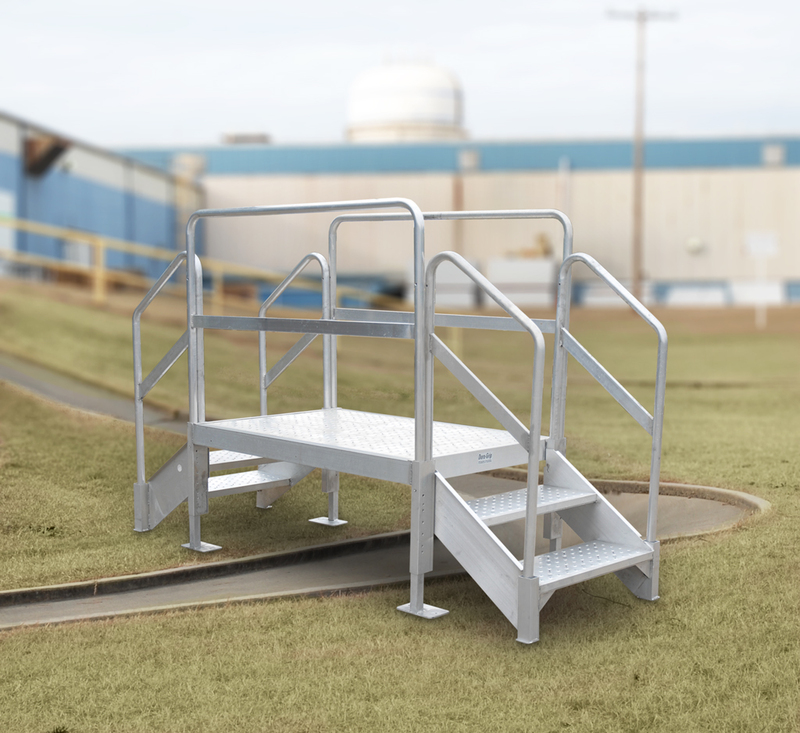 The OSHA Crossover Stair is designed for field and site uses that need to meet OSHA regulations crossing obstacles in a walking path. 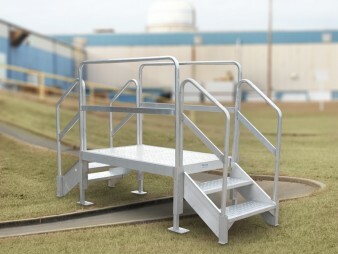 You can easily assemble and adjust these stairs according to the threshold and necessary configuration. 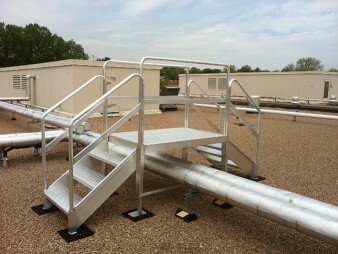 REDD Team aluminum crossover stairs provide OSHA compliant clearance for walking path obstructions. Landings and stairs are designed for 100psf live load and a concentrated load of 300lbs to help you meet OSHA regulations. 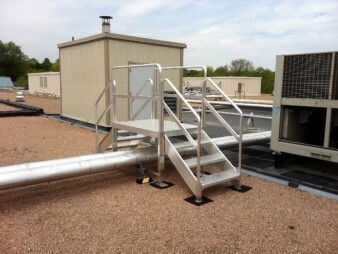 Aluminum stairs and railings are both non-corrosive and non-combustible. Maintenance-free, with a durable slip-resistant and self-draining deck. Installation is easy with minimal parts and slip-in rails and legs. Light but strong aluminum means less weight than comparable wood or metal systems. 1 Year warranty on our OSHA-ready safety products.